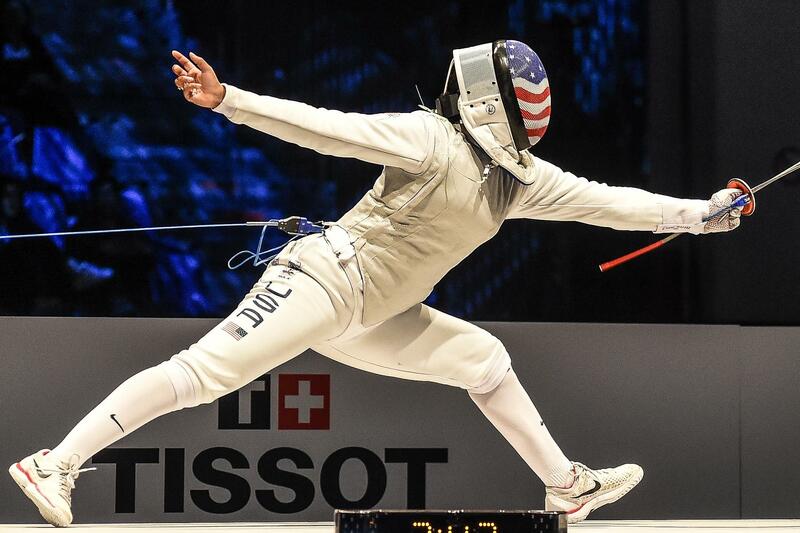 Lauren Scruggs won bronze at the 2018 Junior Worlds and will be among the fencers competing in the junior women's foil event in Kansas City. Photo Credit: Augusto Bizzi / FIE. (Colorado Springs, Colo.) – Nearly 2,000 fencers are scheduled to compete at the November North American Cup in Kansas City this weekend at the Kansas City Convention Center. Competition will run from Friday through Monday with individual events held for Junior (U20), Cadet, (U17) and Y14 age groups. Competition will run daily from 8 a.m. – 8 p.m.
USA Fencing members (Competitive, Coach, Life, Supporting and +CheckEd) will receive free admission by showing their membership card at the registration desk to receive a tournament access pass. Children ages 10 and younger each will receive a complimentary tournament pass. Supporting memberships can be purchased for $25 at www.member.usafencing.org and will give members access to tournament entry for the entire 2018-19 season. Four-day tournament passes are available for $15 each. Single-day passes are $5 each. Passes can be purchased at the door or at http://2018novembernac.eventbrite.com.